Google deposits money into my account every single month. YouTube ads have been paying me for years and will continue to pay me even if I stop making videos all together. 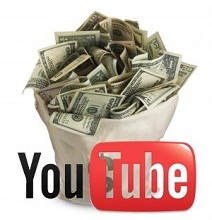 Now it's your turn to reap the financial benefits of YouTube and build a true passive income by making simple videos. This 22 page eBook book will teach you what type of videos to make, where to post them and how to optimize your YouTube videos so they bring in hundreds of views every day.